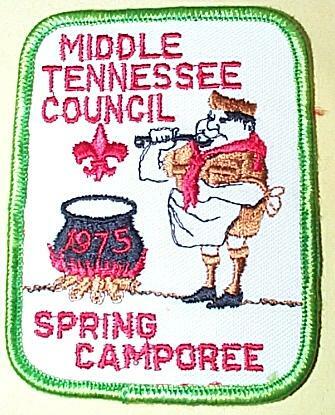 Although the patch is identified as just "Middle Tennessee Council", it was not the standard MTC 1975 spring camporee patch. You can see that patch here. This patch was issued for Heart of Tennessee District's spring camporee.